Do you need a fun drink for Cinco de Mayo? Maybe these spicy jalapeño margaritas are just what you are looking for! I love finding spicy jalapeño margaritas on the cocktail menus at my favorite local spots, but with five kids, how often am I really getting to have one of these?? The only answer, of course, is to make my own. The other night, I had my first opportunity to give it a go. My husband was on call and campers at Camp Brighton were itching for a movie night. I did what any good mom would do – I sent out a group text message – APB. Any moms interested in dropping their kids on my couch for movie night while I experiment with cocktails? Win-win. My kids get movie night with friends. I get mom-time and fun drinks. My Saturdays certainly look a lot different these days but, with a little creativity, they are definitely still a lot of fun. 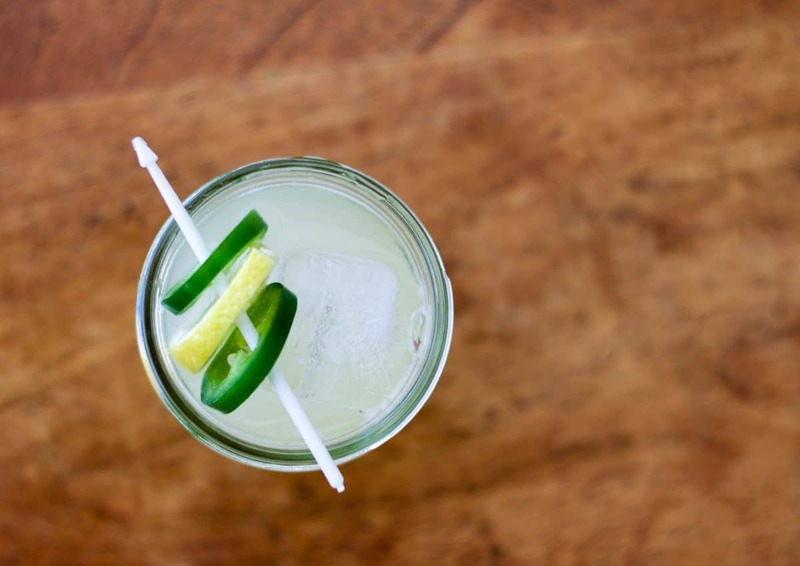 The first step in this spicy jalapeno margarita endeavor is making a jalapeno simple syrup. To make a simple syrup, all you need is equal parts water and sugar. I suggest 1/2 cup sugar and a 1/2 cup water. To make it spicy, slice a jalapeno into the water and sugar and let it simmer. You will need to bring your sugar and water to a boil to make sure that all of the sugar is dissolved into the water. Then lower the temp and let it simmer for about 5 to 10 minutes. Set aside. Keep the sliced jalapenos in the simple syrup. 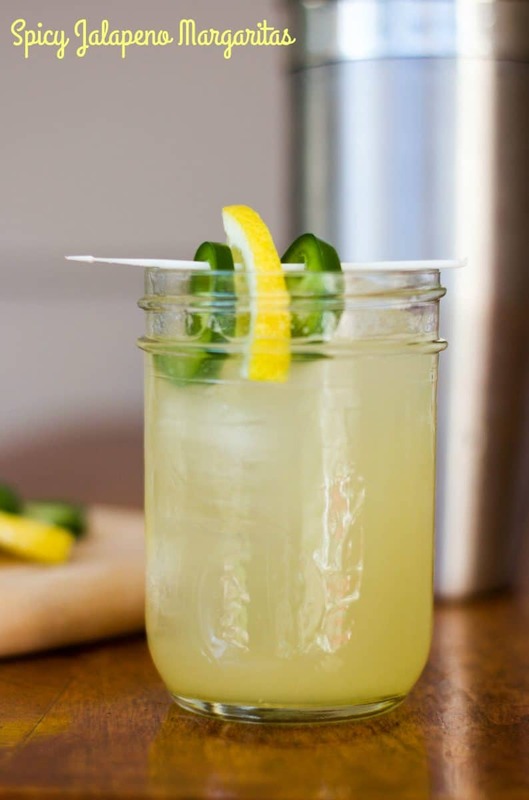 To make the spicy jalapeno margaritas, you will need to combine the jalapeno simple syrup with freshly squeezed lime and lemon juice (no gross sour mix here! ), tequila and cognac. 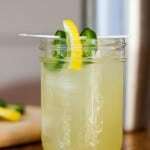 If you want your spicy jalapeno margaritas even spicier, muddle a slice or two of jalapeno in the cocktail mixer or the individual glass before adding the other ingredients. 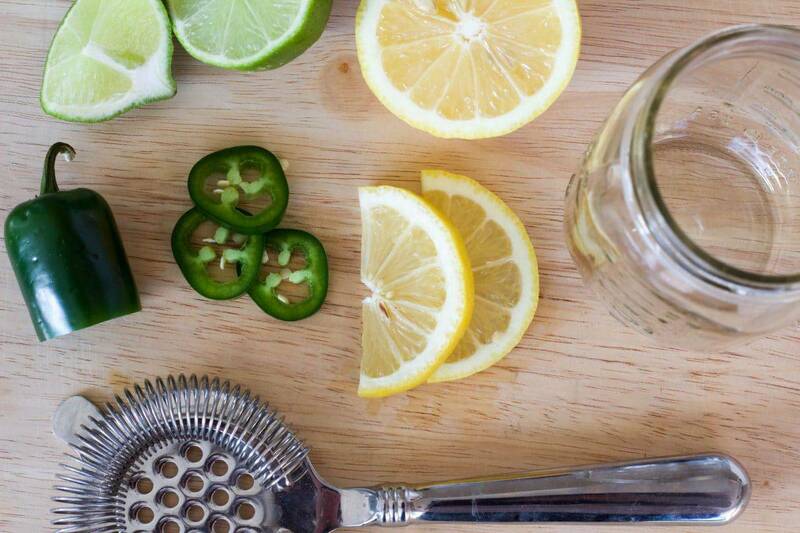 Garnish with jalapenos and lemon or lime slices. Serve on the rocks! ENJOY!!! With just a few simple ingredients, you can make your own amazing Spicy Jalapeno Margaritas! Combine ingredients in a cocktail shaker. To make spicier, first muddle a few jalapeno slices in the cocktail shaker. Add ice. Shake until your hand is too cold to shake anymore. Pour over ice. 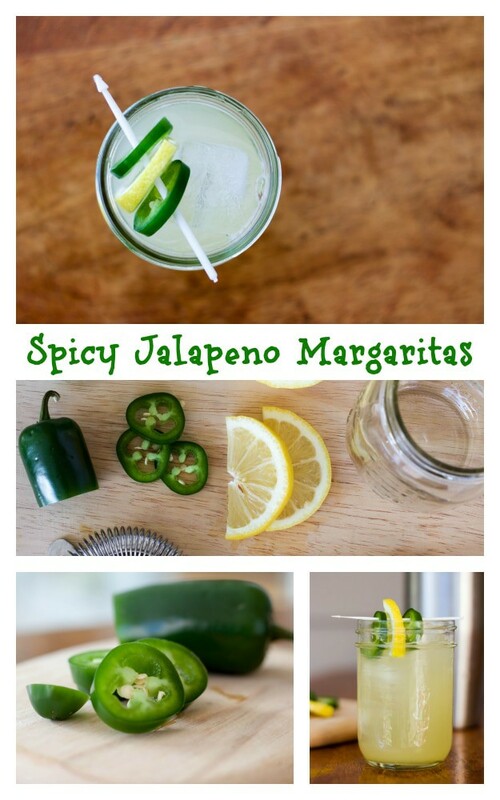 Garnish with lemon or lime slices and jalapenos. jalapeno is one of my favorite margarita flavors – yours look so bright and pretty, and I know they taste good – cheers! thanks, Kristina!! 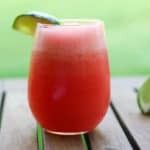 This margarita is definitely bright and light! Cheers!! Thanks, Adriana!! I love most cocktails but I really, really enjoy a good margarita!! No fuss, so much flavor! Give it a try! 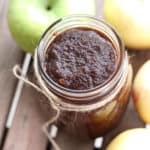 Simple syrup does make everything better but, if you were looking to cut back on the sugar, I bet you could! The natural sweetness of the lemon and lime go a long way, I think. This looks amazing! Jalapenos fit so well with citrus flavors! Thanks, Marye! 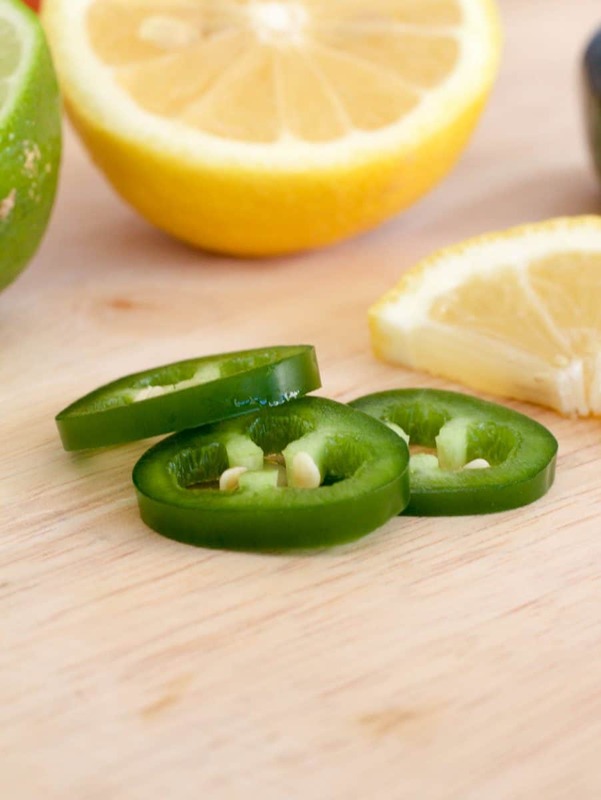 I agree – jalapeno and citrus are such a good combo! I just love margaritas and spicy food and you went and combined both! Can’t wait to try this delicious and refreshing looking margarita! TGIF! Thanks, Megan!! I am with you on the margaritas + spicy food!! It would make perfect sense to fill my entire hot tub with this, right? Because. ZOMG. Yes. All of this. Now. These are so pretty and make me think of spring! I bet they are delicious too. 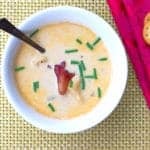 I’m a spice wimp, but I would totally try these, with the citrus to balance out the spice. YUM! If you just use the jalapeno simple syrup and don’t muddle any extra jalapenos, you would be fine!! The citrus does balance out the spice really well. This is going to be my cocktail of choice on Saturday night and maybe for Brunch on Sunday too! 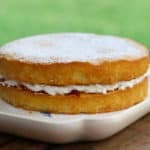 What a creative recipe. Thanks, Rini! It has been a huge hit here! Love the idea of having these cocktails at brunch – they are so bright and citrusy, it would be perfect. Yes!! I will do that! Aren’t these fun!